If we’re all Nordic, are some of us more Nordic than others? Kunstkritikk’s stay in Nuuk turned out to be a transformative crash course in Greenland’s situation, history and culture. Inuuteq Storch, Old Films of the New Tales, 2107, video still. Unable to lose myself in the view because I didn’t get a window seat, I chose instead to spend my time on board the small red Air Greenland plane headed for the capital of Greenland, Nuuk, reading virtually all the Danish text in the latest edition of the dual-language Greenlandic newspaper Sermitsiaq. One of the spreads that particularly caught my eye bore the headline “Greenland is growing”. Global warming is not just causing the ice covering most of the country to shrink at an alarming rate; it also causes the river deltas to expand, something that may, according to the newspaper report, give rise to “infrastructure challenges and new opportunities” in built-up areas and hunting/fishing grounds alike. A major story had to do with an international conference that took place the week before in the city where I had just had a stopover: Reykjavik. Greenland was better represented at this fifth instalment of the Arctic Circle Assembly than in preceding years, and the author of the article clearly regarded this as important, partly due to concerns about China’s growing power in the Arctic region. Greenland occupies a peripheral position seen from the perspective of the world’s main political and cultural centres, but nevertheless this vast country and its approximately 56,000 inhabitants occupy a key position in relation to some of the crucial questions of our time. The Arctic areas are not only harshly affected by climate change; they are also central to the current struggle about natural resources and what they should be used for – and, importantly, who should govern their use: international corporations or the indigenous population, which in the case of Greenland makes up the majority of the country’s inhabitants. Inuuteq Kriegel, photograph. From Assinga 4 x 4 at Nuuk Art Museum. But what were you doing in Greenland? is probably the one question I have been most frequently asked after returning to Oslo. Well, from 16 to 21 October, the town of Nuuk – Greenland’s largest, home to a population of around 17,000 – was also home to extensive pan-Nordic and Arctic cultural exchanges as the town hosted the second Nuuk Nordic Cultural Festival. In principle, this interdisciplinary festival encompasses every art form and genre: visual arts, music, stage, performance, film, literature – even if this year’s instalment of the festival seemed to lean towards music and stage art and featured only very few literary events. According to the organisers, a total of 275 Greenlandic, Nordic and international artists and 145 delegates took part in the festival, attracting just under 2,000 visitors. It is likely that better marketing and more information could have boosted the number of visitors to some of the events – the festival has faced local criticism on this point. While it is true that one should never be too hung up on visitor numbers, it was quite obvious that the festival, which was arranged by Kommuneqarfik Sermersooq and the Nordic Institute in Greenland (NAPA), struggled with organisational problems. One of the festival co-ordinators, Rickard Borgström from Finland, was dismissed six weeks before the festival was due to begin, and programme changes and cancellations were made at very late stages of the process. 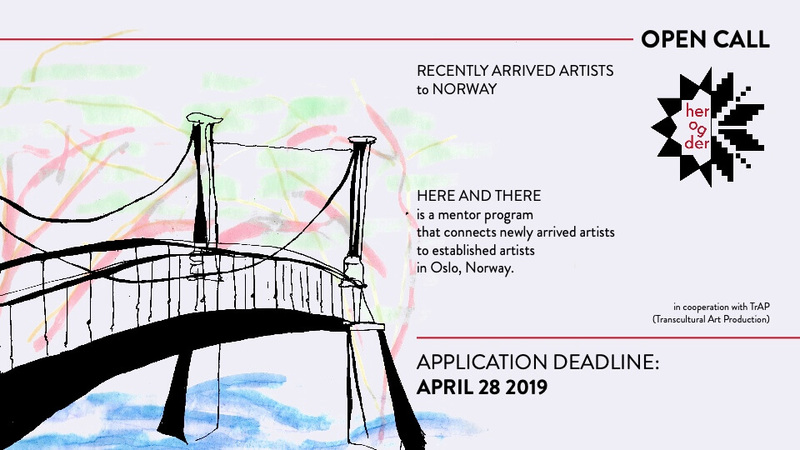 The director of NAPA, Mats Bjerde, said to Sermitsiaq that the termination of the festival’s collaboration with Borgström was “mutually agreed upon between both parties” and that he cannot offer any further comment because this is a staffing matter. Of course, a conflict of this kind is not a good starting point for a festival, and the fact that the whole thing did not come crashing down seems to have been in great part due to the 120 volunteers who worked with everything from catering and transport to executing the actual events. Some of these volunteers arrived from abroad, including a crew of Norwegian sound and stage technicians. Having said that, there was an abundance of things to see during the festival. For my part I gave priority to the art events and, specifically, the Greenlandic contributions. My time in Nuuk became a transformative crash course in Greenland’s situation, history and culture, leaving me with a desire for greater, deeper insight and a strong wish to return. Tinne Zenner, Nutsigassat (Translations), 2017, video still. The most brutal reality check was provided by the film programme. This year, the programme had been expanded to form a festival in its own right, the first Nuuk International Film Festival, and placed particular emphasis on the indigenous peoples of the Arctic region. It included the Norwegian-Sami film Sameblod and several films about the Inuit people and their situation. The Greenlandic writer, filmmaker and former politician Aqqaluk Lynge visited the festival to screen a legendary film he created forty-five years ago together with the Danish artist Per Kirkeby. Nâlagkeruissut ok’arput tássagôk! (in English When the authorities said ‘Stop!’) appears to be a documentary film, but according to Lynge it isn’t really documentary in the strict sense of the term: the main characters were directed to recreate scenes from their own lives. In this film we follow a family consisting of a single father of five children as they live through major changes to their community: the Danish authorities have shut down the coal mine in their home town, Qullissat, and decreed that the entire population, numbering some 1,400 people, will be forcibly relocated to other towns in Greenland. Even if the piece is not a documentary film as such, it is nevertheless a powerful historic document. The main protagonist of the film, the aforementioned father of five, was one of the founding members of the Greenlandic worker’s association, which was in fact launched in Qullissat. He repeatedly states that the decision-makers should have tried what it was like being in his situation, how hard it is, and it is impossible not to feel empathy and pity for this man with the mournfully smiling eyes. If possible his children make even more of an impression, even though they are not called upon to speak much, but are simply tracked by the camera: curious, inquisitive boys engaging in unfettered, unsupervised games; shy and introvert girls. After the screening Lynge explained that the authorities were not pleased about the film, meaning that it was difficult to have it shown anywhere in the seventies, but nevertheless spoke of it as “the beginning of a revolution”. Alethea Arnaquq-Baril, Angry Inuk, 2016, film still. In the centre: Aaju Peter. A powerful contemporary perspective was presented in the form of the activist documentary film Angry Inuk (2016), which addresses how the livelihoods of the Inuit people have been diminished in scope by the protests against sealing launched by European and American animal rights organisations from the 1960s until the present day, and most recently by the EU ban on seal products introduced in 2010. The film follows the Canadian director Alethea Arnaquq-Baril and her part in the struggles against the EU prohibition. The film argues that the exemptions from the ban extended to indigenous communities are insufficient in scope because these communities are financially dependent on the sale of seal products. The very foundations of the ban are also contested: seals are not threatened by extinction, and they believe that sealing is no less “humane” than other kinds of hunting. According to Arnaquq-Baril, the animal welfare organisations’ campaigns against sealing are primarily motivated by the fact that the issue provokes strong emotions, which makes it financially lucrative. As a city person and on-off vegetarian I am struck by how alien life in these traditional hunting communities is to me. The people that Arnaquq-Baril show us have an affinity and connection with nature and the meat they eat that is almost incomprehensible to me – they eat the freshly killed seal raw with their hands and utilise every intestine, every brain cell. When we then move on to see pictures of Paul and Linda McCartney posing next to a tiny white baby seal – of the kind the Inuit communities actually don’t hunt – and Linda is awkwardly startled when the cuddly critter moves, I am embarrassed – for myself, too. If you want to be against sealing, I guess you should at least be consistent and be against the slaughter of all animals. In the film the sealskin designer and lawyer Aaju Peter, an utterly inspirational woman who also visited the festival, points out that the alternatives to skin and fur often consist of synthetic fabrics made out of non-replenishable oil. And oil is precisely one of those natural commodities that the international community would rather exploit in the Arctic regions – thereby harming seals and other animal life. Jukke Rosing, photograph. From Assinga 4 x 4 at Nuuk Art Museum. Aqqaluk Lynge and Alethea Arnaquq-Baril both took part in a panel discussion headlined Can film change the world? – the latter via a Skype connection from Canada. However, the question posed by the title can only be described as highly misleading given that it wasn’t treated as a theme for discussion, but as an indisputable fact. “Of course films can change the world!” stated panel moderator Emile Hertling Péronard, and from that point on the panellists went on to discuss how it should be done – to a packed and attentive audience that consisted mainly of young Greenlandic students. Not everyone on the panel saw themselves as activists. Inuk Silis Høegh, known for directing the film Sumé – The Sound of a Revolution (2014), a documentary film about the Greenlandic ‘70s rock band Sumé and their role in the struggle for independence, wrote a manifesto for Greenlandic culture ten years ago. On this panel he stated that he still sees untapped potential. “There’s one thing that only we can do, and that is to create our own art,” insisted Høegh, claiming that this is particularly important for the Greenlandic people because there are so few of them and because they get invaded by culture from throughout the world: “The only thing that we have that the rest of the world has not is what we have in our own hearts and minds.” This argument was seconded by Aká Hansen, who is currently a student at Super16 in Copenhagen, where she recently completed the first episode of a science fiction web series, Polar, set among young people in Nuuk where she herself grew up. She described herself as an idealist rather than as an activist. Her previous work includes the short film Half&Half, in which she uses herself – half Greenlandic, half Danish – as an example to shed light on the experience of being poised between two cultures. The festival also saw the launch of Greenland’s first fantasy film. Akornatsinniittut – Tarratta Nunaani is directed by the autodidact 22-year-old Marc Fussing Rosbach from Ilulissat, who also created the score for the film and plays one of the key parts as the sidekick of the main protagonist, played by Rosbach’s best friend Casper Bach Zeeb. Even if the story drags a bit, this is to a great extent offset by the two main characters’ obvious talent and charm – and by their wry sense of irony and humour. Like Aká Hansen’s Polar, Rosbach’s film offers insight into young people’s lives in Greenland today, which appear to be very similar to the lives led by young people in other Nordic countries. When the main protagonist is told that he has inherited shamanic powers from his grandfather that he must now learn to harness in order to save the world, his main frame of reference is not Inuit lore, but Harry Potter and Star Wars. From that point on things start happening that the shamans of the past – angakkut in Greenlandic – would probably be puzzled by. Greenlandic rappers Josef Tarrak (left) and KimoJax during the Commonwealth Hip Hop Collab, a collaboration between Greenlandic and Danish rappers staged as part of the concert marking the conclusion of Nuuk Nordic. Photo: Mariann Enge. Reclaiming history and seizing control of how life in Greenland is represented seems to be a major driving force within all the arts in Greenland, not least among the young – such as the rapper Josef Tarrak, who is best known for the song “Tupilak”, in which he lashes out against the many prejudices that Greenlandic people face. Tarrak was one of several Greenlandic rappers featured at Nuuk Nordic, and early this year he and techno musician Uyarakq took part in Documenta 14 at the invitation of Norwegian-Sami Joar Nango and the collective project Fellesskapsprosjektet å Fortette Byen. Some seek a more active and involved relationship with traditional Inuit culture. For example, tattoo artist Maya Sialuk Jacobsen took part in the festival, presenting workshops and an exhibition at the Greenland National Museum about the traditional hand and face tattoos that have recently become something of a trend, particularly among women. Angu Motzfeld, photograph. From Assinga 4 x 4 at Nuuk Art Museum. Others, such as Angu Motzfeldt, Jukke Rosing, Inuuteq Storch and Inuuteq Kriegel – four Greenlandic fine-art photographers who took part in the festival exhibition Assinga 4 x 4 at Nuuk Art Museum – are more interested in depicting Greenlandic reality “from within” as opposed to the external gaze that informs much history writing and many art projects created by people who have come to Greenland from outside. An underlying tension seems to exist between them and the four Nordic artists featured in the same show – Lotta Törnroth from Sweden, Inkeri Jäntti from Finland, Tinne Zenner from Denmark and Norwegian-Sami artist Marte Lill Somby – all of whom have spent a two-month residency at Nuuk Art Museum, a residency programme with the objective of “getting artists to see something more and other than nature” and giving them the opportunity to “delve deeper into and get closer to Greenland”. The photographer and pop musician Angu Motzfeldt, who showed atmospheric photographs printed on debris from an industrial area in town, believed the matter concerns a re-establishment of identity – “something important has been taken from us, and we must slowly rebuild ourselves,” he said during the panel discussion associated with the exhibition, in which all the Greenlandic and Nordic artists took part. Inkeri Jäntti, photograph. From Assinga 4 x 4 at Nuuk Art Museum. 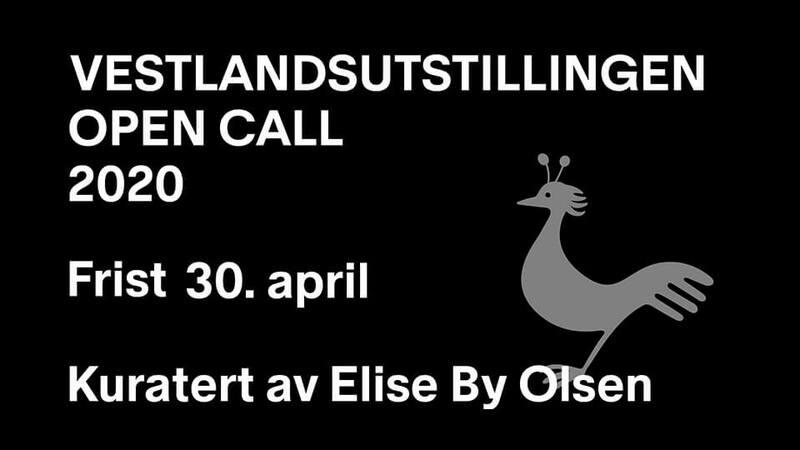 Danish artist Tinne Zenner addressed this issue in her film piece Nutsikkat (Translations), which opens with a voiceover, spoken in Greenlandic, about the time when the Danes arrived and renamed all the places. The monologue is captioned in English that appears to have been translated automatically, which means that the captions offer some idea about the nature of Greenlandic sentence structures and hint at the things that are lost in translation. 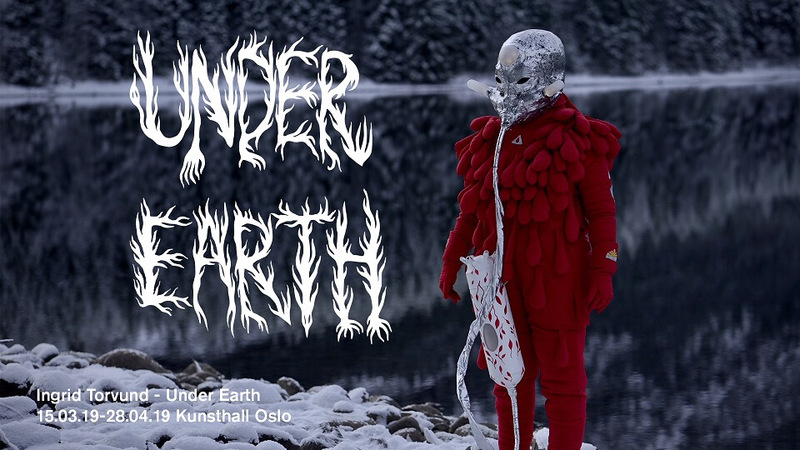 The visuals – comprising mountains, the sea, children playing in the snow in front of apartment buildings in Nuuk, a man making traditional figurines out of bone – have also been “translated”: Zenner shot the footage on 16mm film and then went on to process it digitally. The other Nordic artists did not address the postcolonial situation directly; instead they worked with key themes within their own artistic practices. During her time in Greenland, Inkeri Jäntti interviewed Greenlandic women, drawing out tales of sexual abuse. At the exhibition the story of one of these women was presented in the form of an audio recording alongside a dramatically choreographed video inspired by mythology and a number of staged photographs. A member of the audience asked Jäntti if she saw nothing problematic in using the Greenlandic women’s stories as subject matter, prompting the artist to reflect on how she was aware of her own privileged position, but that she was able to establish a rapport and gain the women’s trust because the theme is anchored in her own personal experience. The artists featured in the exhibition also have different starting points in terms of formal education: the Nordics artists all hold bachelor or master degrees, while the Greenlandic artists have completed one or two years of photographic training – or are autodidact, as is the case with Inuuteq Kriegel, who takes a kind of hipster-punk approach to photography. He has previously shown pictures taken with an iPhone, and at the present exhibition he contributed four large black-and-white photographs taken with a disposable camera from which he had removed the lens. The result is partly abstract, darkened motifs. In the clearest of these pictures we can dimly make out parts of the façade of one of the characteristic apartment buildings in Nuuk. Kriegel’s friend and namesake Inuuteq Storch has studied photography in Copenhagen and New York and is currently apprenticed to Danish photographer Jacob Aue Sobol. To my mind, Storch’s Old Films of the New Tales is the strongest work in the exhibition. It is a two-channel video installation comprising six brief video films compiled out of old footage from Greenland which Storch has processed, adding audio tracks and evocative titles such as We Grow Up to Forget Who We Are and The Way You Kill is The Way You Live. We see scenes of sealing and everyday life, children skiing and skating, Greenlandic people dressed in their finery, waving the Danish flag as they greet the Danish queen Margrethe. The images occasionally waver and blend, flicker and disappear, like memories that are difficult to retain. Here, the artistic appropriation of the footage also acts as an appropriation of history, a trait that is accentuated by the intimate soundtrack featuring everyday sounds, singing, whistling, tinkling pianos and a squeaky violin. In several places we also hear the whirring sound of a 16 mm film projector, a nostalgic marker of time that contrasts sharply with brief bursts of digital glitch noises. Marte Lill Somby, Offer, 2017, video still. It was rather a pity that Storch’s installation did not have a room to itself, or at least decent display conditions. The fact that he wanted the sound to be transmitted out into the space rather than in headsets was one thing; a more serious problem was caused by the fact that the lighting conditions in the museum were unsuitable to video projections. In this light and airy room, equipped with tall windows at either end, the low October sun flooded the exhibition. The effect was disastrous for all the video works at Assinga 4 x 4, causing them to become pale echoes of their true selves. Marte Lill Somby’s work suffered the most – at times it was barely possible to make it out on the wall – but Jäntti’s and Zenner’s works would certainly also have benefited from better screening conditions. Problematic display conditions plagued several of the visual art contributions to the festival. The Faroese artist Jóhan Martin Christiansen’s exhibition Dish fared particularly badly, having been located in an unremarkable hallway in the cultural venue Katuaq. Not only was the exhibition difficult to find; what was worse was that no-one was guarding it, particularly because it consisted of fragile plaster sculptures scattered across the floor. While I was there I saw a woman bending down to touch one of the sculptures, and a small girl around four or five years of age gave one of them an experimental kick, causing it to roll away – she probably thought that the piece, a plaster sheet on wheels, looked like a skateboard. One of the sculptures had broken into several pieces. The next time I visited the exhibition, an attempt to resolve this issue had been made by using white masking tape to indicate a border around the sculptures. Hopefully this helped, but visually the solution was less than ideal. Ironically, decay and vandalism was a main theme in the video work featured in this exhibition, offering black-and-white glimpses of the ruins of a Nuuk harbour that used to be of key importance for the Faroese fishing industry. The plaster sculptures are casts taken from this setting, a kind of tactile memories. Jóhan Martin Christiansen, Dish, 2017, installation view from Katuaq, Nuuk Nordic Cultural Festival. Nuuk Art Museum and Katuaq are both architecturally pleasing cultural venues, so it was quite a pity that they did not work better as exhibition venues. By contrast, the Danish artist Jacob Remin’s exhibition was set in a decaying house down by the harbour, and this was actually less problematic because the house itself added something more to the exhibition experience. Because the house no longer has a power supply, Remin’s high-tech works had to run on electricity from a gas-powered generator – a curious and poignant effect. During the opening screening the generator ran out of gas, so I had to come back the next day to view the video work in its entirety. It was presented on a flatscreen TV placed in a heap of stones and accompanied by a booming soundtrack – and a small, inquisitive robot that kept an eye on the visitors entering the floor above. Appropriately, the exhibition focused on the material prerequisites of information technology, on the physical, highly polluting aspect of the Internet: rare earth elements (REE), for which Greenland may have great mining potential. From Jacob Remin’s exhibition in Holms hus, Nuuk Nordic Cultural Festival 2017. As Rickard Borgström, who was still artistic director at the time, pointed out when Kunstkritikk interviewed him this April, the name of the festival, Nuuk Nordic, carries a latent tension within. This problematic Nordicness received little direct attention during the festival, but aspects of it was made obvious in the verbal communication. 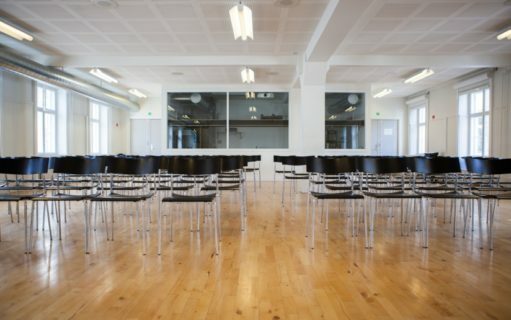 Whereas all written festival information was provided in three languages – Greenlandic, Danish and English – the presentations and discussions were mostly conducted in Danish and English. The panel discussion held in connection with Assinga 4 x 4 ended up with quite a chaotic mixture of languages. 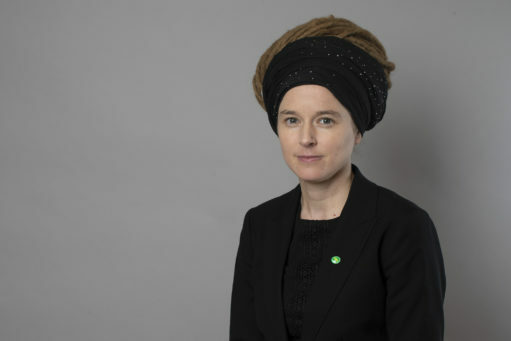 Museum director Nivi Katrine Christensen announced that the conversation would be held in Danish except for the presentation given by Finnish artist Inkeri Jäntti, who would do so in English. However, Lotta Törnroth from Sweden and Norwegian-Sami artist Marte Lill Somby both followed up in English in order to be certain that they would be understood, and Greenlandic artist Inuuteq Storch also preferred to speak in English. His example was followed by several others. One member of the audience insisted, in a somewhat indignant tone, on asking their question in Danish, pointing out “that this is a Nordic festival after all”. Logically, however, shouldn’t it be equally allowable to give presentations in Greenlandic, Sami or Finnish? Or perhaps some languages are more Nordic than others? I have rarely felt so little inclined to speak in Scandinavian as I did in Greenland, even though most Greenlandic people speak excellent Danish. English may be the colonial language par excellence, but at least it facilitates communication where people from all the Nordic countries occupy a level playing field. I should also add that Greenland is currently discussing whether the mandatory Danish lessons in school should be abolished. Sometimes there can also be a point in exposing yourself to things you don’t understand. Even though I understood absolutely nothing of the actual text, it was still interesting to see the play Angutivik, billed as a “redefining performance portrait of the Greenlandic man”. The play was written by Niviaq Korneliussen – known for queer novel HOMO sapienne (2014), nominated for a Nordic Council award – in co-operation with the four actors Hans-Henrik Poulsen, Miki Jakobsen, Klaus Geisler and Kristian Mølgaard. They all displayed such presence and emotional range on stage that the show was captivating even though I understood little apart from the brief written Danish synopses of each scene handed out to us – and a few snatches of Danish and English, such as I need you like water in my lungs. The play will soon tour to Denmark, where it will be performed in Danish. From the play Angutivik. L-R: Hans-Henrik Poulsen, Klaus Geisler, Miki Jakobsen and Kristian Mølgaard. Photo: Nunatta Isiginnaartitsisarfia / Gerth Lyberth. You need to be quite uninformed or insensitive to avoid feeling a certain amount of shame when visiting Greenland as a native of the former colonial power Denmark-Norway. On a hill by the harbour, right in the centre of Nuuk, stands a statue of “the apostle of Greenland”, the Danish-Norwegian clergyman and missionary Hans Egede (1686–1758). Standing next to this statue in bright sunlight, enjoying splendid views in every direction – out across the sea and inland – it would be difficult not to wonder about what the land of the Inuit, Kalaallit Nunaat, would have looked like today if it hadn’t been for the new arrivals’ urge to subjugate the indigenous population, making them Danish, making them Christian. It is convenient for us Norwegians to imagine that colonisation was something that only the Danes engaged in, but that is not in fact true. It is also convenient to think of colonialism as something that belongs entirely in the past, but that is not strictly true either. Greenland has enjoyed increasing autonomy since the introduction of Home Rule in 1979, but it is unlikely that the country will be able to manage entirely independently of Denmark within the foreseeable future. Recently, the right-wing Danish party Dansk Folkeparti even proposed that Greenland should be brought back under Danish rule because of the problems currently facing the country. Shame is usually not a constructive emotion, but in this context I would say that facing it and embracing it is right and proper, even crucial. For example, it is shameful how little we in the rest of the Nordic countries know about Greenland and the Greenlandic people – an ignorance that was painfully pinpointed by the Norwegian theatre ensemble De utvalgte (“The Chosen Ones”) in a performance held in Nuuk; the troupe have since made a video of the performance. Given the events of the past, we have good reason for feeling a special obligation to follow current events in Greenland. Working for genuine political, economic and cultural decolonisation is not just in the best interest of the indigenous people – it is also a question of what kind of people the rest of us want to be. Lotta Törnroth, Nuup Kangerlua / The Light, photograph, 2017. Mariann Enge’s journey to Greenland was sponsored by Nordic Culture Point.